Some of the power in the Zenvo ST1 could be moved to the front wheels. Oh, the travails of supercar makers. The founder of Denmark's Zenvo might have to go to a four-wheel-drive system for the next model, just to make the replacement for the 1,104-hp ST1 more drivable. "It's too powerful," founder Troels Vollertsen told Automotive News. He says the mind-boggling power figure from the bespoke, turbocharged, 6.8-liter V-8 was decided upon to get people talking about the fledgling brand. Now, it's a problem. "We can't make it less powerful, but we can move some power to the front wheels," he said, though he added that it will take about five years. 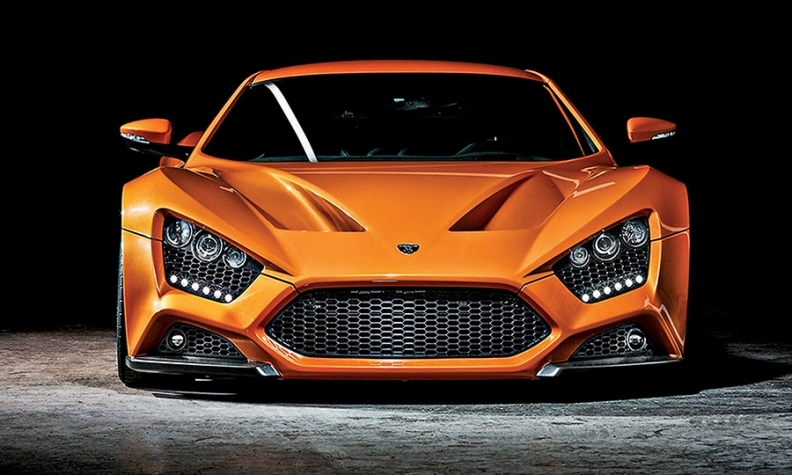 It's been a rough ride for Zenvo since debuting in 2009. Vollertsen says the company hasn't made money. The ST1 costs 850,000 euros ($930,000), but Zenvo won't be profitable until the 25th car is sold. It's currently building Nos. 10 and 11. Zenvo wanted mass-production fit and finish for the carbon-fiber body, and that meant 4mm body panel gaps. As a result, it took three years instead of the planned one to build a production version of the prototype. "Today, I would have chosen 6mm," Vollertsen says ruefully. He is just about over the snarky treatment of the car last year in the hands of Jeremy Clarkson, former presenter on BBC's "Top Gear," when the ST1 broke its clutch and then caught fire. He reckons Clarkson hasn't hurt the brand, though, and sales are picking up. He's hard-pressed to define the typical customer, though he says they do have one thing in common: They're likely to own, on average, 20 other cars.